Family Voices facilitators Ashley Tiedeman and Sasha Smith. Family Haven recently introduced a new program to the Tulalip community known as Family Voices. The program implements the WrapAround process while catering to Tulalip youth and families. Initially introduced nationwide in the 1980’s, WrapAround is a four-phase process that helps struggling individuals and families set, define and achieve personal goals by setting up proper support systems, or teams. These teams consist of two types of support, natural support (friends and family) and professional support (counselors and/or therapists), who work together to ensure clients remain steadfast on achieving their goals and also that the entire team is on the same page, much like a multidisciplinary team. Family Voices is open to all tribal members from the Tulalip community and works primarily with youth facing adversity, around the age of thirteen and older, who are in the system or are frequently truant from school; as well as families who are looking to reconnect, heal and rebuild together. The program empowers their clients by allowing them to create their own team, comprised of the various trusted members who will assist them throughout the process, such as beda?chelh caseworkers, school counselors, coaches, friends, parents and siblings. By creating a team, the client is held accountable and has the ability to consolidate multiple meetings, which would normally be held on various days throughout each week, into a few meetings per month. The meetings allow the support team an opportunity to find ways each member can assist the client achieve their goals and meet deadlines as well as continue to promote positive vibes and encouragement. 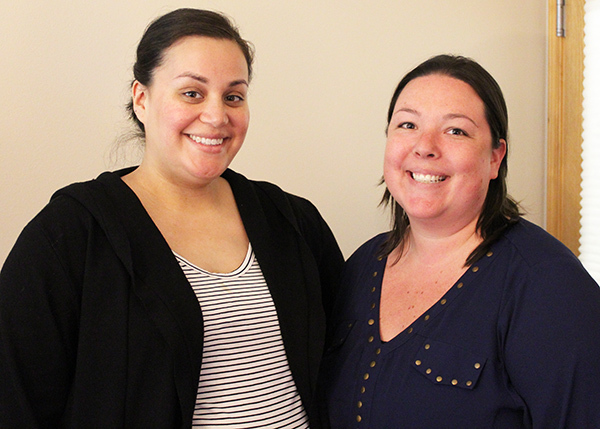 Family Voices facilitators, Sasha Smith and Ashley Tiedeman, explain that the program focuses on the client’s interests and strengths while setting goals. For example, if a client is interested in art or music, the facilitators encourage them to use their creativity as a tool or outlet to reach their ambitions. The program’s length varies as the WrapAround process is client-driven and based on the individual’s goals and needs. Clients typically utilize the program until their personal goal is met. Currently Family Voices has clients on WrapAround plans from nine months up to three years. The team meets on a regular basis, wherever the client is most comfortable such as schools, homes and even Starbucks – initially around twice a week, switching to monthly meetings around six months into the process. For additional information about the program please contact the Family Voices Facilitators Sasha Smith (360) 716-4404 or Ashley Tiedeman (360) 716-5719. This entry was posted in Health, News, Tulalip News and tagged Family Voices, Health, Tulalip Tribes, wellness by Kim Kalliber. Bookmark the permalink.